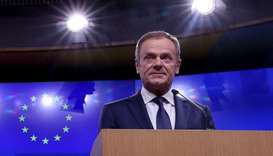 EU rebuffs May, says no-plan Brexiteers deserve "place in hell"
The European Union will make no new offer on Brexit and those who promoted Britain's exit without any understanding of how to deliver it deserve a "special place in hell", European Council President Donald Tusk said on Wednesday. 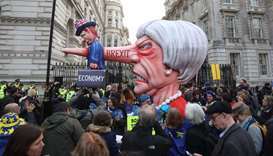 British Prime Minister Theresa May won the backing of the most prominent Brexiteer in her government Friday as she fought to save a draft European Union divorce deal that has stirred up a plot to force her out of her job. 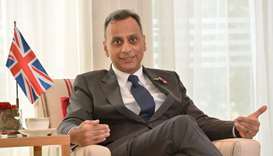 The United Kingdom is extremely happy at the pace at which its bilateral relations with Qatar is growing and the Britons are hopeful that the relations would continue to record a significant growth in the coming days, said UK Ambassador to Qatar Ajay Sharma. 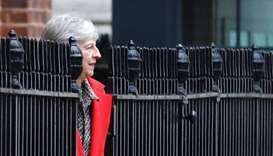 At least 40 lawmakers in Prime Minister Theresa May's Conservative Party are willing to vote down her possible Brexit deal if it leaves the United Kingdom 'half in and half out' of the European Union, a senior lawmaker said on Tuesday. 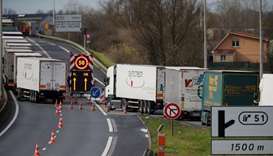 During the meeting, they discussed bilateral relations and ways to boost and develop them. 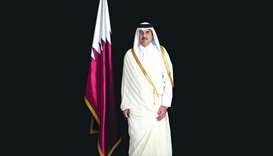 The current official visit of His Highness the Amir Sheikh Tamim bin Hamad al-Thani to the United Kingdom is an extension of the historic friendship and alliance between the two friendly countries. 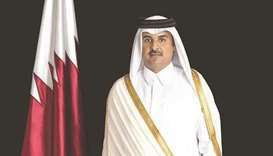 His Highness the Amir and Prime Minister Theresa May will hold talks on Tuesday. 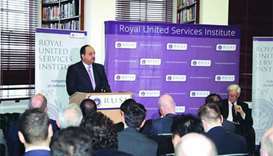 A joint Qatar-UK operational squadron will play a vital role in securing the skies during the FIFA 2022 Qatar World Cup, HE the Deputy Prime Minister and Minister of State for Defence Affairs Dr Khalid bin Mohamed al-Attiyah has said. 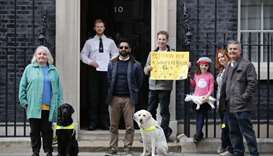 Lawyer says unnamed UAE officials were involved in torture of three Qatari men and asks British police to investigate. LuLu Hypermarket Group has said it has started importing all categories of fresh milk from renowned suppliers in the United Kingdom, twice a week, to ensure uninterrupted supply in all their outlets across the region.